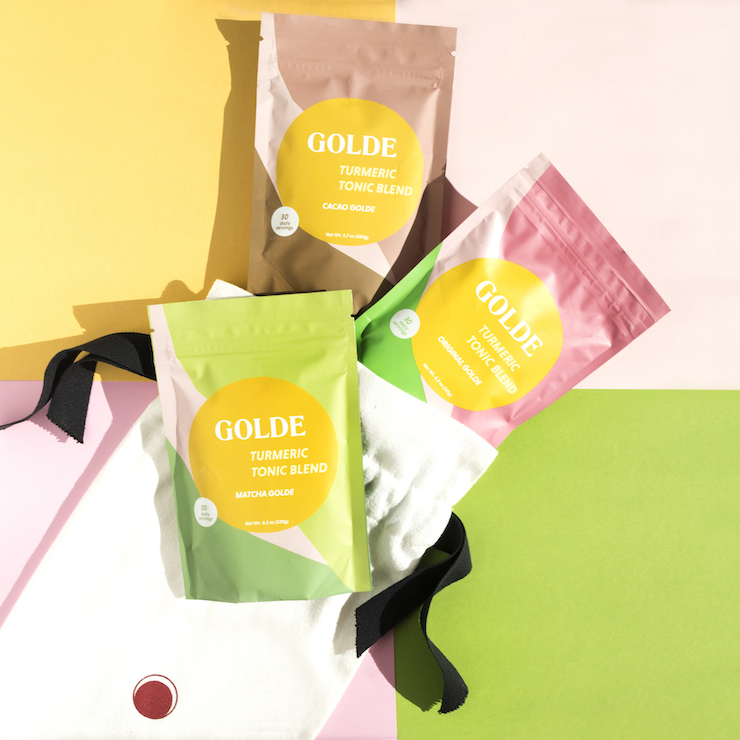 We’ve struck Golde! 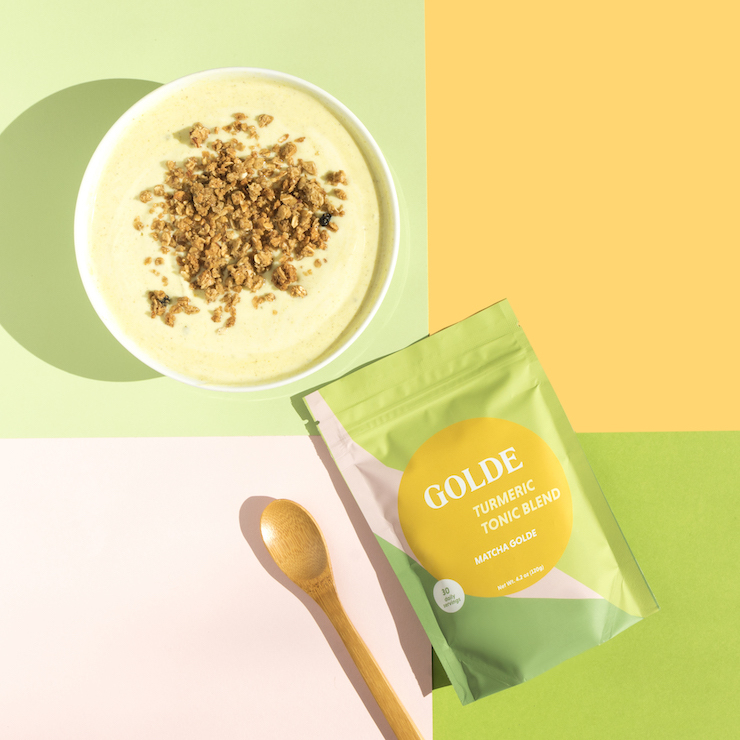 With turmeric at its base, Golde makes wellness accessible and delivers remarkable results with its line of Turmeric Tonic Blends, all Hero product in their own right. 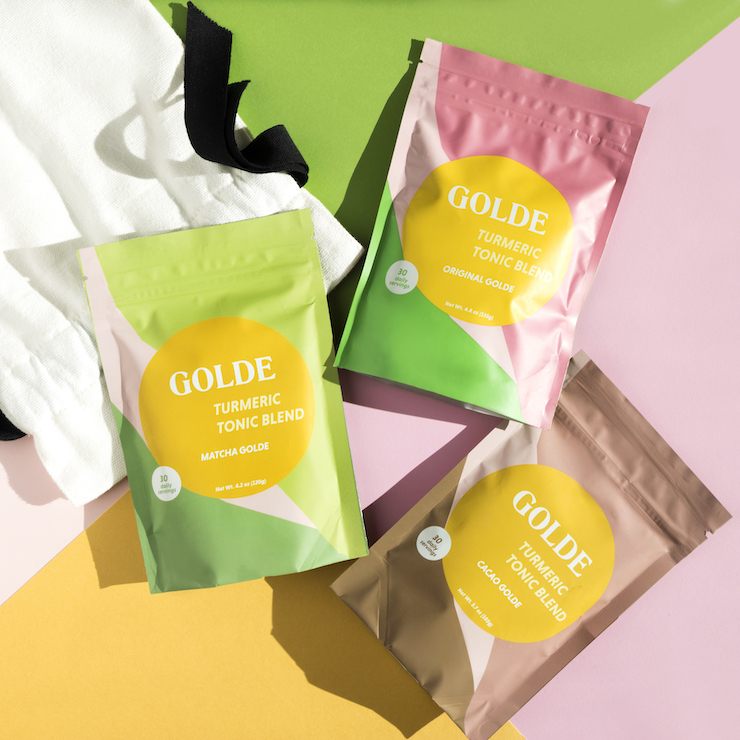 Formulated with coconut, ginger and turmeric, these powder blends mix easily in hot water and are ideal for an antioxidant boost anytime, anywhere. This Limited Edition Wellness Discovery features three full-size Turmeric Tonic Blends—Original, Matcha and Cacao— available to purchase for a limited time at $55. 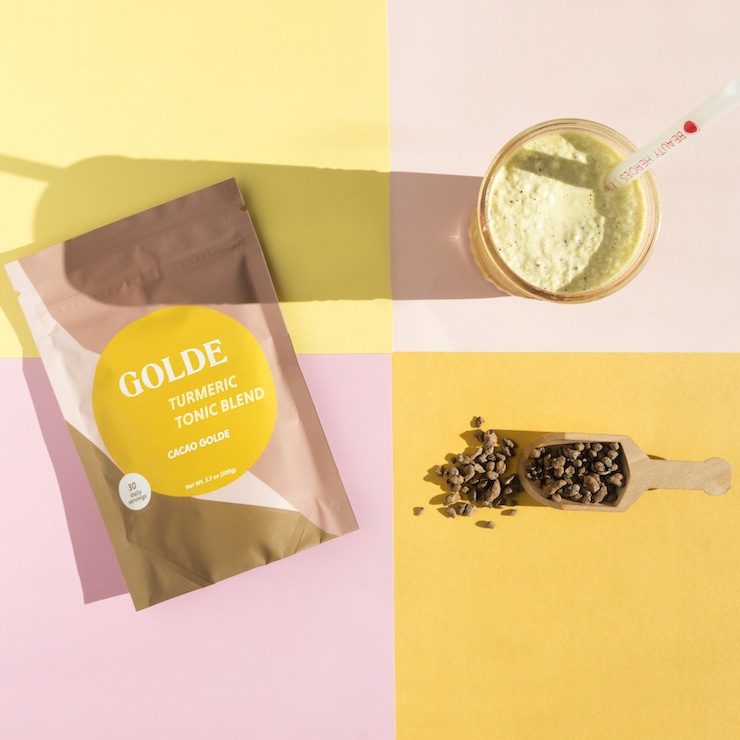 Delicious anytime of the day, and especially before bed, this blend makes for a tasty addition to baked recipes and smoothies. 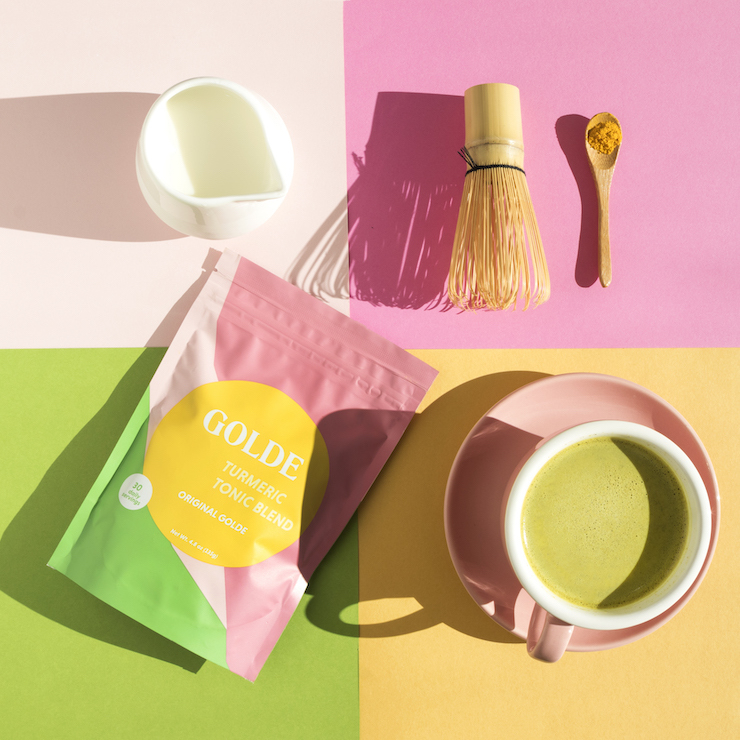 Rich in antioxidants and caffeine, this turmeric-matcha blend makes for the perfect morning energy boost or in place of an afternoon coffee. When you’re in need of a soothing, bliss-inducing sweet treat at anytime of day.